Starting Monday, February 20 and going until Friday February 24, we'll have a different BOGO each day of the week! Join me each day for a unique BOGO each day, for a total of five specials for the week. This is such an AMAZING deal! But I'm going to make it even better for you! Retail: Make a one-time BOGO purchase, pay full retail price through me. I am limited to 5, so it will be a 1st come – 1st serve basis. Current Wholesale Member Purchases: If you currently have a doTERRA wholesale account, you can purchase up to 5 BOGOs each day on your own! Log into your account and add the item to your cart. 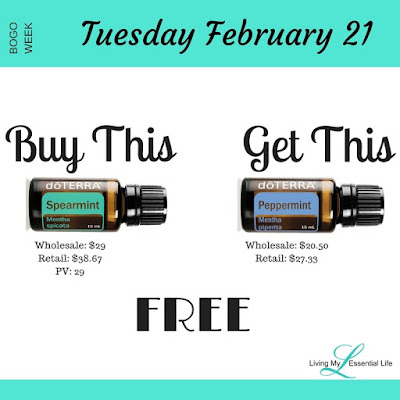 (Example: If the daily deal is buy Lavender, get a peppermint free, you would add the Lavender to your cart and the peppermint will be added automatically.) Make sure to make it an LRP order because when you order more than 50 PV you can earn even more free product points, as well as your shipping points. Open a Wholesale Member Account: If you want to purchase your BOGOs at a discounted price, then you can enroll with your own wholesale member account for $35. This yearly fee can be waived if you enroll with an enrollment kit for even more savings! You will receive 25% off your current purchase and any future purchases for the next year. This allows you to go into your very own account and order what you want, when you want. You can earn free products too! I offer enrollment incentives as well! So, you can earn even more FREE STUFF! Ask me how you can get $100 in product for enrolling THIS MONTH ONLY! WANT MORE FREE STUFF? HERE YOU GO! For each BOGO you purchase this week, you will be entered into a drawing for a FREE GIFT, including 3 rollerballs to make your own blends AND a WILD ORANGE essential oil! RSVP to this Event for all the details each day! We are offering a FREE GIFT each day to anyone who orders that day's BOGO! PLUS - at the end of the week there will be a drawing for GRAND PRIZE! Contact me to be added to the private event!!! 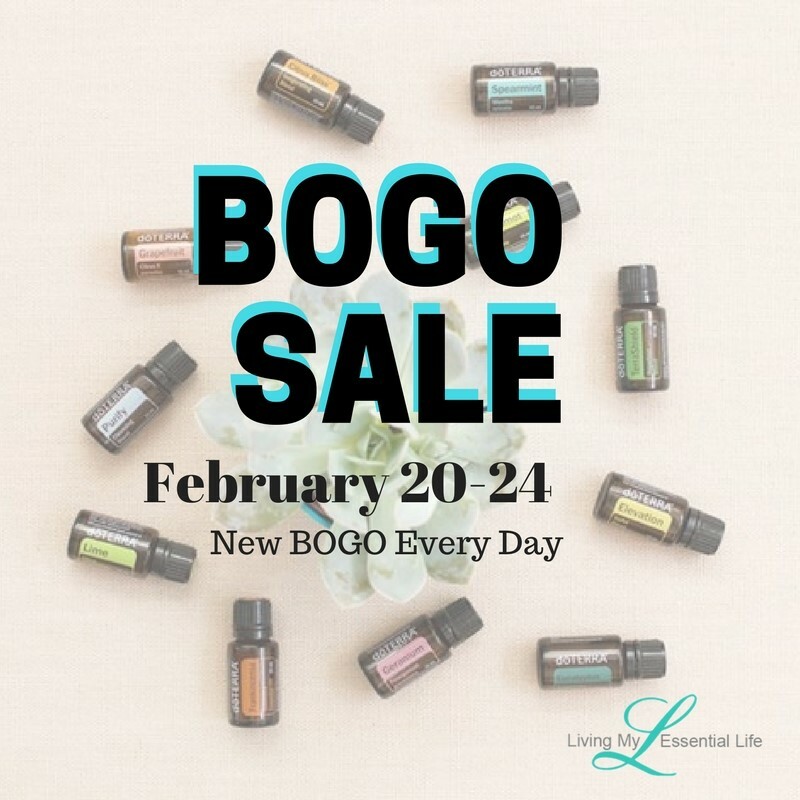 BOGO WEEK: Tuesday, February 21st. Buy 1 Spearmint, Get 1 Peppermint FREE. Today only. Sale ends at midnight (MST). 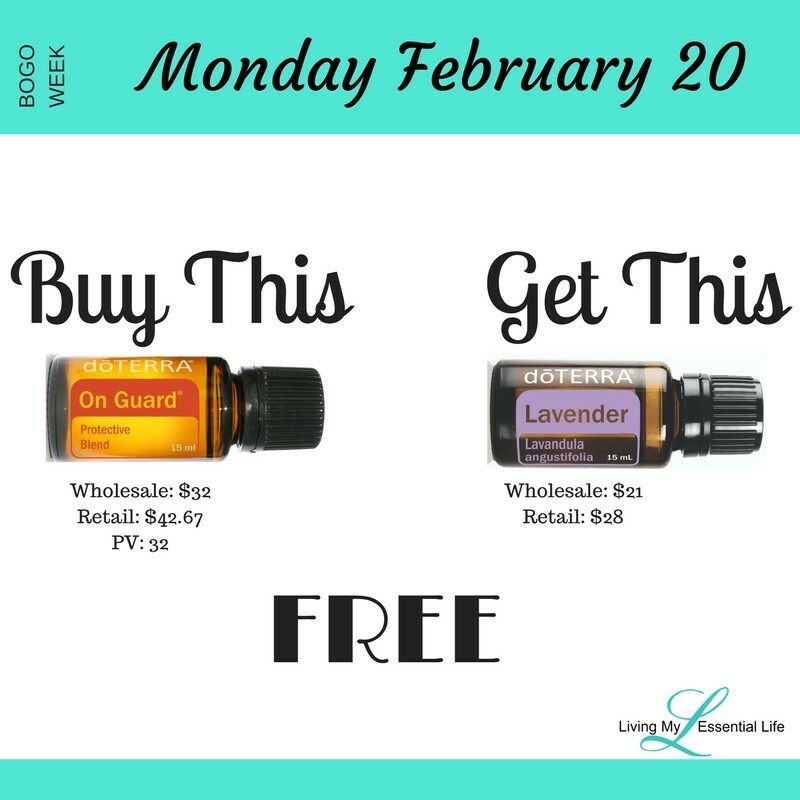 Buy 1 On Guard, Get 1 Lavender FREE.